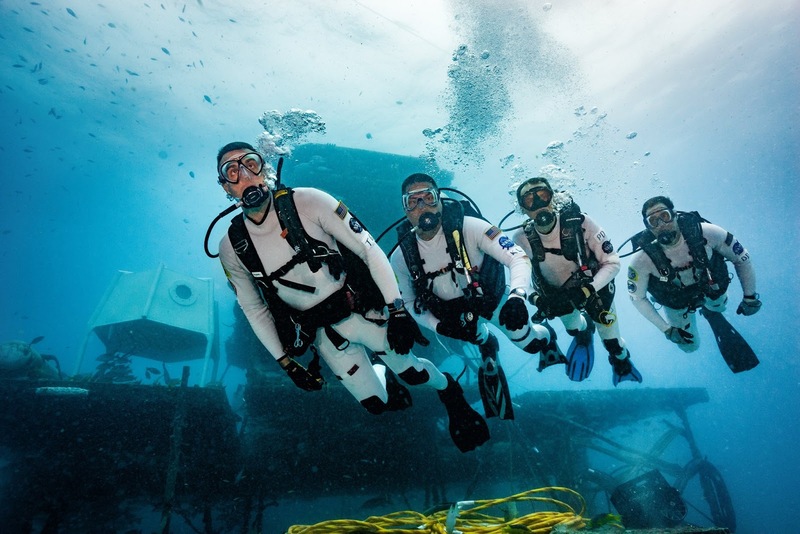 The crew taking part in NEEMO 22, the 22nd NASA Extreme Environment Mission Operations mission, consists of astronauts, technicians and scientists who are now on board the Aquarius underwater habitat off the coast of Florida. NASA astronaut Kjell Lindgren will be commander for this mission that will focus on exploration spacewalks as well as tasks based on the International Space Station. He is joined by ESA astronaut Pedro Duque, planetary scientist Trevor Gradd and research scientist Dom D’Agostino. An international crew "splashed down" to the undersea Aquarius laboratory on the floor of the Atlantic Ocean on June 18, 2017, to prepare for future deep space missions during the 10-day NEEMO 22 expedition. NEEMO 22 will focus on both exploration spacewalks and objectives related to the International Space Station and deep space missions. NASA Extreme Environment Mission Operations (NEEMO) is a NASA mission that sends groups of astronauts, engineers and scientists to live in Aquarius, the world's only undersea research station, for up to three weeks at a time. The Aquarius habitat and its surroundings provide a convincing analog for space exploration. On a mission, the NEEMO crew and professional habitat technicians live 60 feet below the surface of the Atlantic Ocean in Florida International University’s Aquarius Reef Base undersea research habitat 6.2 miles off the coast of Key Largo, Florida.